The Chattanooga law firm of Evans Harrison Hackett, PLLC announced that attorney Everett (“Bo”) L. Hixson Jr. has joined the firm as a member and that attorney Everett (“Rett”) L. Hixson III has joined the firm as an associate. Bo Hixson has been practicing in the Chattanooga and North Georgia area for over 30 years. He is a 1983 graduate of UTC and a 1986 graduate of the University of Tennessee College of Law, where he was an editor of the Tennessee Law Review. He has published articles involving premises liability in the Tennessee Law Review and forfeiture of collateral in the Tennessee Banking Journal. Mr. Hixson’s diverse practice involves commercial, personal injury, and real estate litigation in Tennessee and Georgia, including construction disputes, foreclosures, landlord/tenant, Americans with Disabilities Act claims, homeowner associations issues, business dissolutions, creditor’s rights and bankruptcy, insurance coverage, and appellate representation. Mr. Hixson is a member of various bar and trade associations, including the American, Tennessee, Georgia, and Chattanooga Bar Associations (where he served on the Board of Governors) and was a founding member of the Tennessee Association of Construction Council. He is a member of St. Paul’s Episcopal Church, where he served on the Vestry, and is a past member of the Board of Directors of Metropolitan Ministries and Chattanooga Room in the Inn, as well as a past chairman of the Chattanooga Regional Homeless Coalition. Rett Hixson is a 2010 graduate of the University of Tennessee and a 2014 graduate of the University of Memphis School of Law. While in law school, he was the Research Editor of the University of Memphis Law Review, which published his note, All Losers Should Pay in Tennessee: How to Amend T.C.A. Section 20-12-119 to Deter Meritless Claims. 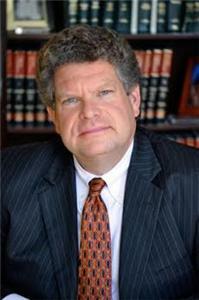 He received the CALI Excellence for the Future Award in Pretrial Litigation. As an undergraduate, he was active in the Student Government Association, serving as a Senator in his senior year. He is a graduate of McCallie School. 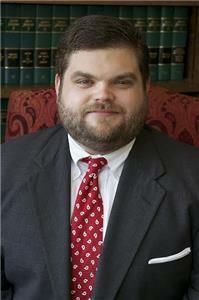 Mr. Hixson is a civil litigator with an active commercial practice in state and federal court. He has experience in construction law, insurance coverage/bad faith actions, real estate, landlord/tenant, employment law, personal injury, and appellate practice. He is a member of the Tennessee and Chattanooga Bar Associations, as well as an Associate in the American Inns of Court, Brock-Cooper Chapter. He is a member of St. Paul’s Episcopal Church. Evans Harrison Hackett, PLLC is a client-focused law firm that represents a diverse portfolio of businesses, financial institutions and individuals in Chattanooga, the surrounding tri-state area and nationwide. The firm has eleven attorneys, and its office is located at One Central Plaza, Suite 800, 835 Georgia Ave.